There has been a lot of speculation about the route that the Jaredites followed as they left Babel and traveled to the Americas. Some suggest that they traveled westward, eventually crossing the Atlantic ocean, and thence to their homeland in the New World. Others think that they migrated eastward, crossing Asia, and then the Pacific, to arrive at the Promised Land. One researcher (George Potter) even thinks that they journeyed southward, crossing Saudi Arabia to the Indian Ocean, and thence eastward across the Pacific. So, as with other areas of Book of Mormon geography, there seems to be a lot of confusion. As he has observed there are a number of factors which suggest the eastern, Asiatic route. 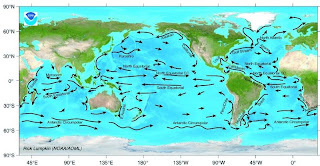 These include (1) the length of the journey, (2) the geography, (3) the prevailing eastward winds, (4) the favorable Pacific currents, and (5) the mountainous terrain of eastern Asia. 1) The journey of the Jaredites was long. We don't have any definite information on the actual length of the journey, other than the ocean crossing, which was 344 days. In addition, after their arrival at the sea Jared notes that their trip had taken a long time for he says "for these many years we have been in the wilderness" (Ether 3:3). Finally, after arriving on the coast, they lived there in tents for a period of four years. So we can account for a minimum of five years that we know of, but the journey was probably much, much longer when we factor in "these many years." There are some traditions of the descendants of the Jaredites which speak of this journey to the New World. Lorenzo Boturini, speaking of the ancestral Indians [or Jaredites], tells us "they traveled for a long time in Asia…going from one place to another and carrying with them seeds, particularly of corn, chili, and beans, and in each region they cut down the forests [cleared the land] and prepared farm land [or sowing fields], and perhaps leaving behind the aged and weary that they might populate those lands; and so they walked that with time th ey were nearing America, and at last they entered and set foot on their continent." P. 126. Note that he speaks of clearing land and planting crops (at least a year long project for each season), and of leaving behind colonies of the aged and infirm. 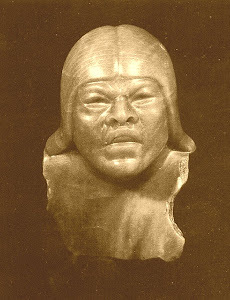 Fernando Alva Ixtlilxochitl relates that the ancestral Indians (who I believe were the Jaredites) "came to these parts [Mexico], having first crossed large lands and seas, living in caves and undergoing great hardships, until they came to this land, which they found good and fertile for their habitation. And they say that they traveled for 104 years through different parts of the world until they arrived at Huehue Tlapallan [or the New World], their country, which happened in [the year] ce Tecpatl, for it had been 520 years since the Deluge had taken place, which are five ages." This account allots 104 years to the journey which seems like an unreasonable length of time, but it is within the realm of possibility as many contemporaries of Jared were long lived, some living as long as 250 years. 3) The prevailing winds are always eastward due to the rotation of the earth. These winds would not have necessarily affected land travel, although it is easier to travel with the wind at your back. But they would have been crucial to the ocean voyage. Facing a head wind, the barges would never have been able to float to the New World. 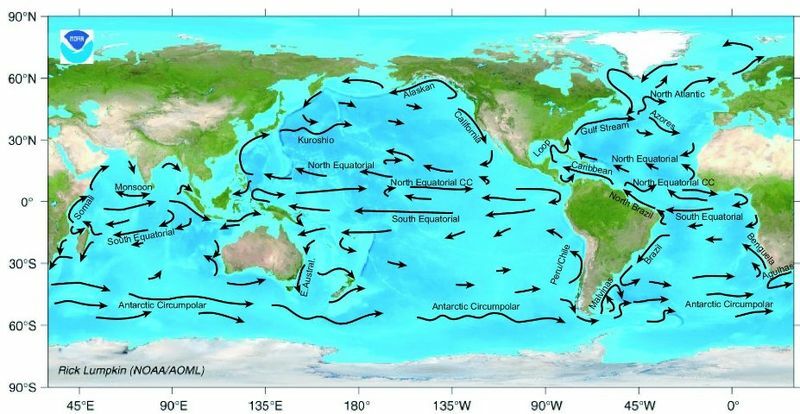 4) The Pacific currents are favorable for drifting from the Asian coast to the American one. Nibley mentions Japanese junks which periodically are washed up on the Pacific US coast. This is a regularly occurring phenomena as the Japanese current flows like a river bordering the west coast. On the other hand, the Atlantic currents are contrary to a westward voyage from Europe as they flow northeastward. To catch a westward flowing current, the barges would have had to float south almost to the equator before the current would carry them westward. And it came to pass that the brother of Jared, went forth unto the mount, which they called the mount Shelem, because of its exceeding height, and did molten out of a rock sixteen small stones; and they were white and clear, even as transparent glass; and he did carry them in his hands upon the top of the mount. I do not know of any mountains of exceeding height on the European Atlantic coast, but there are a number on the Asiatic one. 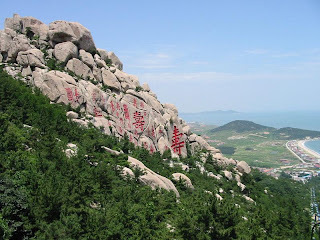 My favorite candidate would be Mount Laoshan. It is on the Pacific coast near Qingdao, China and rises 3716 feet above the near by sea. 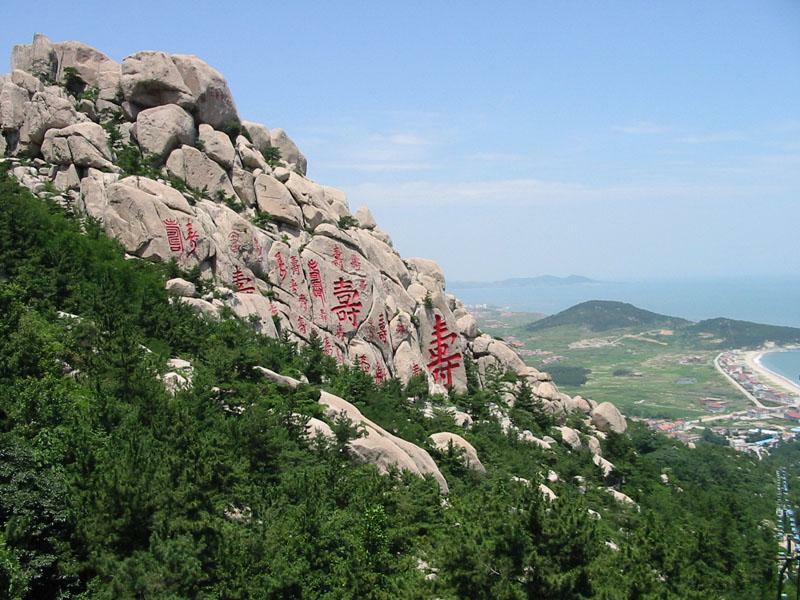 It is traditionally regarded as a holy mountain and was the birthplace of Taoism. One additional factor can be considered. If we accept the early Indian cultures of Mesoamerica to be roughly equivalent to the Jaredite culture, then the earliest settlements in Mesoamerica should be on the shores where the Jaredite barges landed. 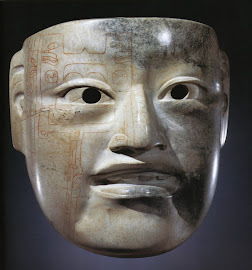 According to archaeological studies, the earliest sites are located along the Pacific coasts of Southern Mexico and Guatemala. I favor an Atlantic crossing. The text " we built barges to cross the many waters" makes no sense on a westward journey through Asia, even assuming there were many lakes there at that time. In order to be true to the text, it would require the Jaredites to travel over land till they came to a large lake or inland sea, and then rather than simply following the shoreline around to the other side and continuing on their way, stopping and taking the considerable time to construct barges. Then, upon reaching the other side, abandoning those barges and continuing on foot till they reached the next lake, where, again, instead of just following the shore around to the other side, investing considerable time and effort to construct another set of barges to also be abandoned as soon as they crossed the lake or sea. Repeat this extravagant waste of time and effort unroll you reach "many". It better fits the text if they traveled north, crossed the chain of mountains that include Arrarat.Perhaps pausing to do a pilgramige to Noahs ark. I suspect it is in this chain of mountains that The Brother of Jared commanded the mountain to be removed to facilitate their March to the Black Sea, where the built the first of 2 sets of barges,2 and only 2 as per the text.They then set off towards the west; from the Black sea through the Bosphorus straight, into the Sea of Marmada,through the Dardenelles into the Agean Sea,through the Mediteranean, then perhaps into the Ionian,cutting across the southern tip of the Adriatic. From here there are two possible routes, south of Sicilia, through the Sicilian Channel, or pass between the island and Italy and into the Tyrrhenian Sea. From thence they would take one of three possible routespast Corsica and Sardinia into the Linguarian Sea.I believe the finally made land fall near present day Barcelona or the Southern coast of France.This brings the "many waters total to 9 seperate "waters" not including any of the straights, of which there were as many as 4.This long journey across this chain of seas would have given them a chance to adjust to a life at sea, yet keep them comfortably close to land if they needed to stop for provisions, fresh water, or repairs. Once they made landfall, they either traveled up the wide valley beside the Ebro river, to the south of the Pyranees mountains, or the crossed over through the level terrain both of the Pyranees in what is today Southern France. They traveled till they reached the Bay of Biscay on the northern coast of present day Spain. Camping on the shore perhaps near present day Bilboa or San Sebastian.Near here is very special mountain. As you traveled from the new world by boat back to Europe during the age of discovery and the Spanish conquest, it was the first thing you saw. You would see it reading above the waves long be for you saw any other land. It is Known as Pico De Europa. The "mount of Europe" Please Google it, you will be amazed. There is no other way to describe it other than " an exceeding high mount". Interestingly enough, it is less than 12 miles from the coast. This area of Spain is also noted as producing the finest clear crystals of anywhere in the world. The 12 small stones. Once they build another set of barges, these ones more suited for the rigours of the open Atlantic and launched towards the land of promise, the current and wind flow would have propelled them west, then south past present day portugal, to near the Equator, where it would turn due west and put them right in the hurricane factory. From there they would cross the Atlantic and turn North, hitting anywhere along the East coast of the Americas that you could expect a hurricane to make landfall. Any where from Honduras to New Endgland, depending on how the tropical depression, heading west meets and interacts with the prevailing westerlies blowing east off of the Mainland. Amazing information .. how great are the works of the Lord.